Man!! I can’t believe that another entertainer has past away. 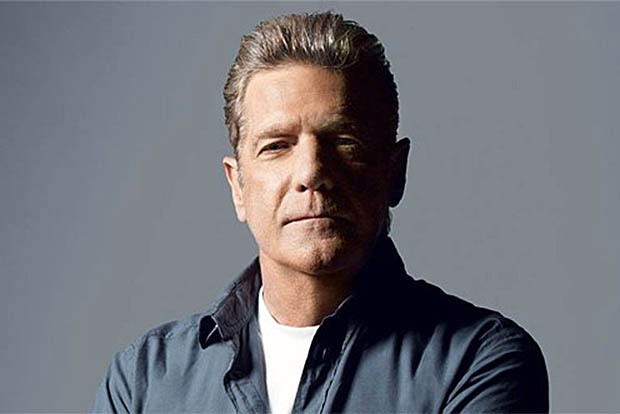 Today when I checked my e-mail I saw that the founding member of The Eagles, Glenn Frey died at the age of 67. One of my favorite songs be The Eagles is “New Kid In Town” (1976). “New Kid in Town:” The first single off of 1976’s “Hotel California,” ”New Kid in Town” features Frey’s lead vocals and Don Henley’s harmonies. They co-wrote the song with frequent collaborator J.D. Souther. And one of my favorite songs by him as a solo artist was “The Heat Is On” (1984). I think he was my favorite member of the band because he was born in Detroit, Michigan. I remember when he guest starred on Miami Vice in the first season episode “Smuggler’s Blues” and when he was in the film, Jerry Maguire. R.I.P. Glenn Frey. You’re music will live on forever. … The streets of Heaven are too crowded with Angels tonight. Don’t let them be forgotten, don’t let them fade away.